If you've got 25 minutes of free time and like lighthearted stuff, I'd definitely recommend this for a quick watch. Of the Young Animator Training Project stuff, this is only the second that I've seen, the other one being Wasurenagumo. 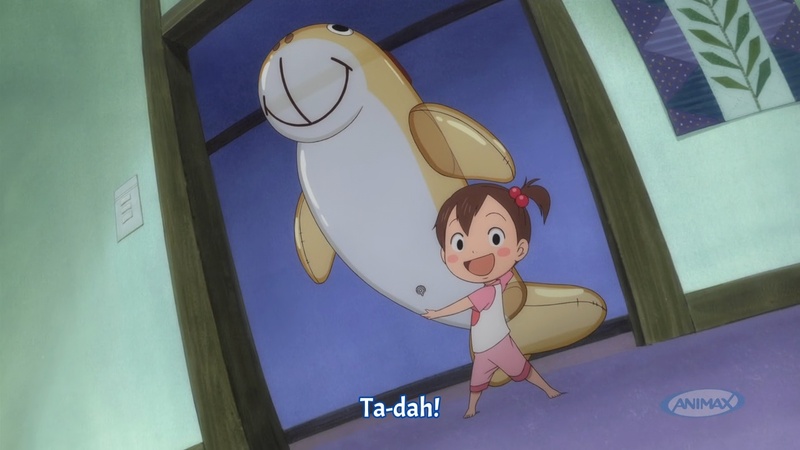 Of the two, I definitely liked Dudu the Floatie more simply because how much more straightforward it was. 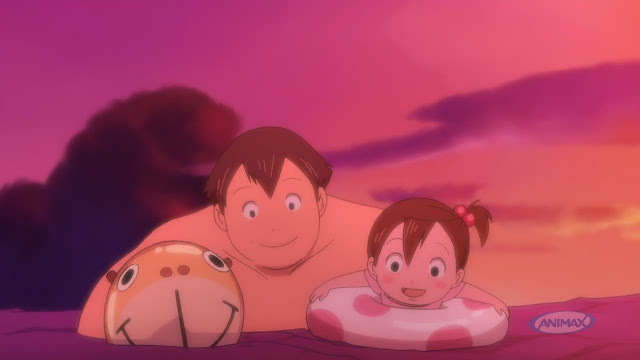 Unlike the bizarre and unexpected ending that we got from Wasurenagumo, this little short's goal was easier to see: it was to highlight the bond between father and daughter. For the visuals, what stuck out to me the most were the character designs. Just the simple contrast of size between father and daughter was cute. For some weird reason, I really liked how the eyes were drawn too. Moreover, the color choice was rather fitting of what felt like a small segment of a kid's PG movie. The story is rather easy to follow. Mika is upset that her father breaks his promise of taking her to the beach yet again due to him being called in for work again. As she dozes off in the kiddie pool, she, along with Dudu, goes on an imaginative journey of adventure and self-reflection. Upon the climax of her dream, she tells her "evil self" that she'll definitely wait until her father takes her to the beach and sees her father's fear going into the sea. Her father's reinflation of the Dudu also inflated his courage to confess his phobia to his daughter. Being the forgiving daughter that she is, they go to the beach as promised. Seeing her daughter float away into the ocean, the father overcomes his fear and swims to her to re-clasp her hand, bringing this heartwarming short to an end. 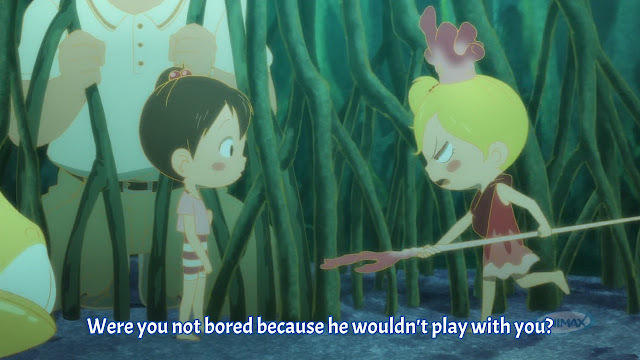 I thoroughly enjoyed this, and will probably go back to watch the first 2011 short before gg translates the fourth one. It's really nice to see some talent going into the anime industry in Japan.